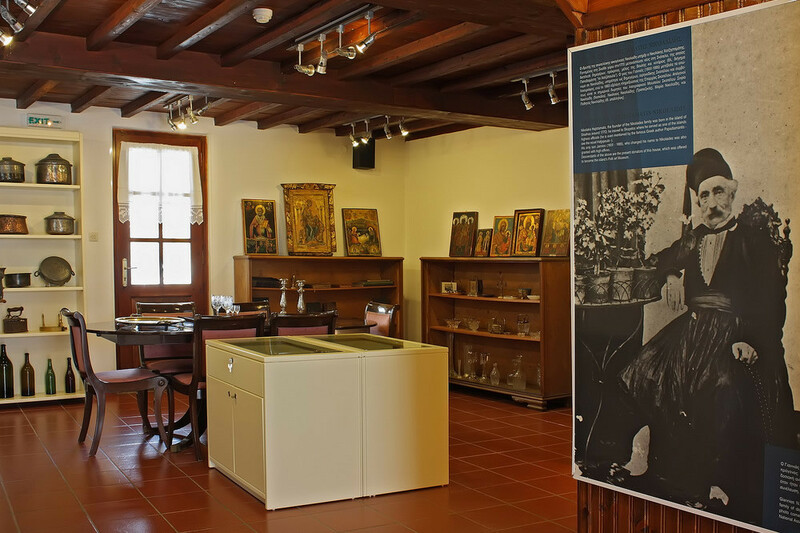 The Folklore Museum is housed in one of the oldest houses in the capital of Skopelos (Chora), and operates since 1993. The house was built in 1765 and constitutes a donation of the historic family Chatzistamatis - Nikolaidis. It was preserved until 1965, where it suffered severe cracks from earthquakes. In 1971 it was restored and took the form it has today, maintaining all the features of the traditional style. The museum preserves exhibits of objects belonging to the owners of the house as well as other objects which were donated by the habitants of the area. For example local costumes, traditional embroidery, lots of wood-sculpted furniture, paintings of folk artists , thumbnails of ships, and rich photographic material. The museum is open daily in the morning and afternoon and the entrance costs 3 euros.